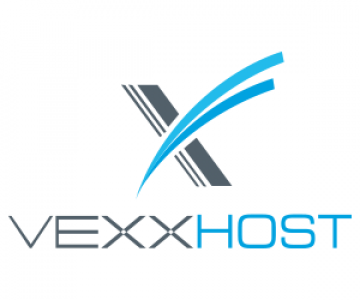 VEXXHOST Inc., a Canadian cloud computing provider, launched today its cloud load balancer service. The load balancing service provides an effortless and simple way to manage incoming online traffic and distributing the workload between multiple instances and resources. With more and more users managing complex workloads, VEXXHOST is dedicated to adding new tools to simplify cloud infrastructure for its customers. The highly requested service, cloud load balancers, enable users to easily scale cloud resources up and down to ensure optimal application and content delivery. Cloud Load Balancers can be quickly launched from the client’s VEXXHOST CloudConsole dashboard or the OpenStack APIs without requiring any installation, configuration or hardware setup. The service is powered by the OpenStack traffic management project, Octavia and the load balancers are integrated and fully compatible with OpenStack APIs. VEXXHOST cloud load balancers support HTTP and TCP protocol. VEXXHOST cloud load balancers are automatically deployed in pairs to provide full redundancy. For each active load balancer, a backup load balancer exists and is ready to take over workloads in the event that the primary load balancer fails. In addition, load Balancers health monitoring ensures that no workloads are sent to unhealthy or unresponsive instances. Founded in 2006, VEXXHOST Inc. is a Canadian cloud computing provider offering OpenStack public cloud, private cloud and hybrid cloud solutions to customers, from small businesses to governments, from over 150 different countries. VEXXHOST Inc. delivers a high level of expertise to help clients optimize cloud infrastructure so they can focus on their core competencies. For more information, visit https://vexxhost.com or follow @vexxhost.